Need a bit of a boost? 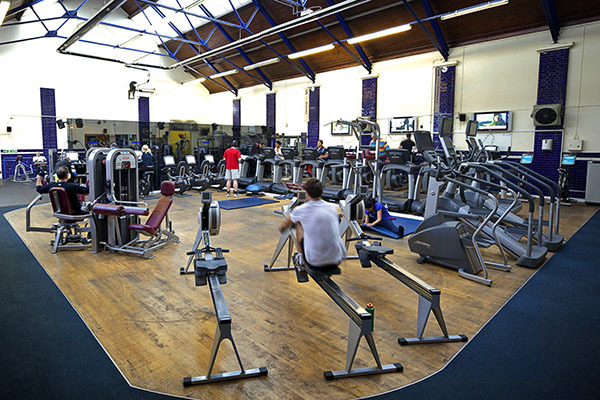 Our team of personal trainers can work out the perfect programme for your workout. Achieve results fast – Join today. 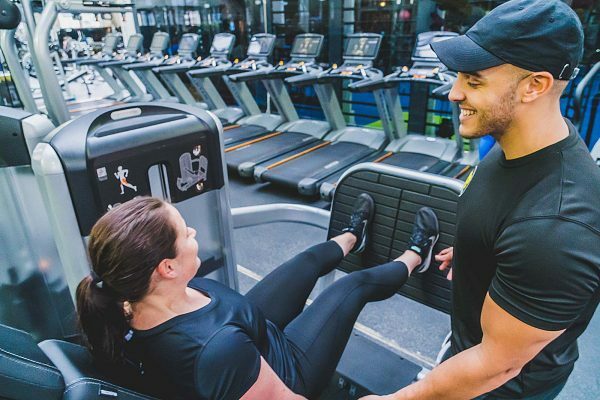 We have the best personal trainers London has to offer, and they choose to run their businesses from our Gym as we have the widest selection of free weights, machines and functional training equipment available to them. Julien Bertherat began his career as a Personal Trainer in 2009. 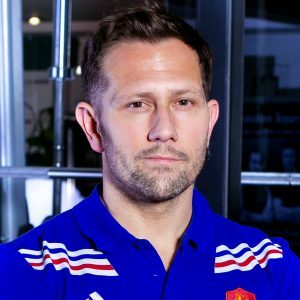 Before working with client’s to improve their fitness, Julien played professional rugby for ASM Clermont Auvgerne back in his native France, and it was during this time that he was introduced to the benefits of gym exercise. 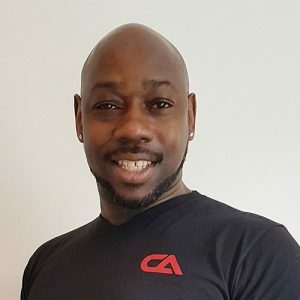 Today Julien works exclusively with individuals and groups, offering bespoke fitness programmes that help his clients’ become healthier and fitter individuals. You are in good hands with Samuel. 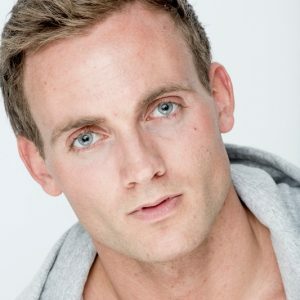 He specialises in improving health, fat loss and/or muscle gain. He has successfully transformed all manner of people, from elite athletes to busy office workers and over-worked Mum’s. He believes in making ‘you’ the best version of yourself and has a fully tailored approach to each and every client. 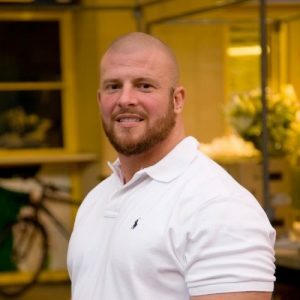 Samuel has over 20 years’ experience in the fitness industry. 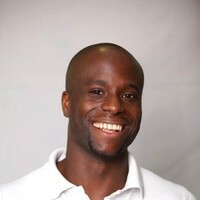 After graduating with an honours degree in Sports Science he worked as the Assistant Strength and Conditioning Coach for the Canadian Olympic team. 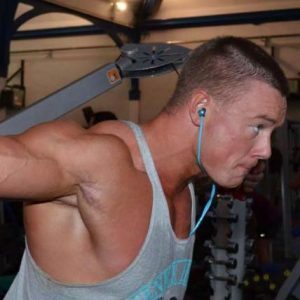 He has competed for GB as an elite athlete and competed within various fitness ‘physique’ competitions. He has also been a regular writer and advisor for various national magazines including Men’s Fitness. Get in touch now for a free consultation and ‘taster’ session. 1-1 & online personal training service providing bespoke training and nutrition plans catering to all goals. 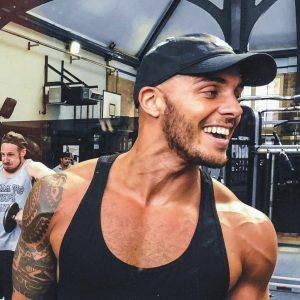 Josh’s ethos is health and fitness is a lifestyle and not a chore and that dieting should be a change for the better, not a grueling task or fad which doesn’t suit your lifestyle. 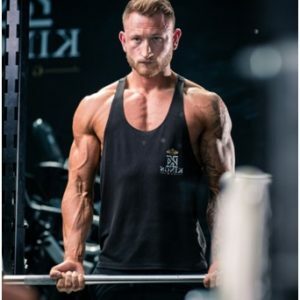 Josh’s passion for the gym has taken him to some great places in 2018, competing in men’s physique from 2nd place in the juniors to 5th place in the men’s British finals to go on and qualify and compete at the world finals, all while still running his business and putting 100% into seeing his clients progress. Join the team, Become Dedicated! I have 15 plus years Personal training experience, having coached high level athletes to complete beginners. I am passionate and focused with helping other people achieve their goals and find their purpose towards their training. Specialising in strength training, fat loss, movement biomechanics Injury rehabilitation and prevention with a tailored approach to different individuals needs. As a Strength & Conditioning Coach, Joseph uses weights as well as Muay-Thai boxing and conditioning programs to guide clients into a much fitter, stronger & better performing state. His main aim is to help clients build muscle, burn fat, perform better or just look good. Joseph addresses health from the inside out ensuring that his clients get that ‘healthy glow’ by using Nutrition, Supplement, Herbal & Lifestyle intervention. 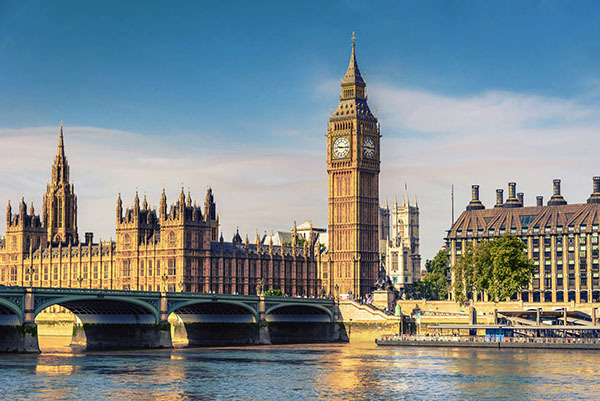 Joseph also uses functional laboratory testing to get a clear picture of the true state of health of the body and to discover any barriers to his clients’ optimal wellbeing. Joseph has also completed talks for BSKYB, Fight-For-Peace and various corporate and charities, emphasizing healthy weight loss, detoxification through healthy living. An exciting and modern all-round Personal Trainer with motivational exercise programmes tailored to suit your individual needs. Whether you want to lose weight fast or tone your body, gain lean muscle or just improve your general fitness, I can help you achieve your goals. Don’t give yourself any more excuses! Contact me now for your first free training consultation. Mesut is a personal trainer, biomechanics coach and sports therapist with more than 11 years of practical experience. 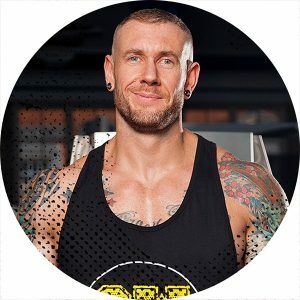 Weight Training, Functional Training, Crossfit and Olympic Weightlifting and were all a part of his developments which influenced his style of delivery for clients. 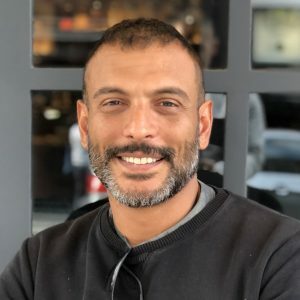 In addition to his practical experience, Mesut has extensive anatomical and physiological knowledge of the musculoskeletal system, which has revolutionised the way his clients approach human movement and athletic performance. Mesut works methodically alongside his clients to achieve long-lasting changes which have a direct positive impact on their lives. Antony is incredibly professional and dedicated to his clients 100%. He is skilled in understanding clients mentally, their needs and their goals. 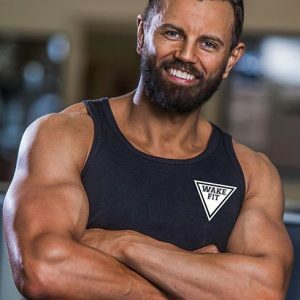 With nearly 20 years experience he has become a one-stop shop for personal training, weight management, injury rehab, life coaching, pregnancy training along with increasing fitness, physical and mental health.’ He says “avoiding the ‘ego’ of many personal trainers means that my clients get the best of me and are my only focus. Steve is amazing at both functional with endurance – but enough about him – he’s a whiz at doing the same for you. He’s got them lean gains and ripping skills truly mastered. 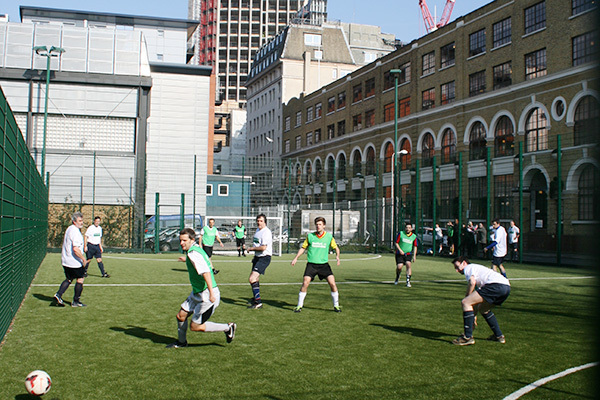 I’m a firm believer in making training fun & enjoyable, whilst keeping intensity & progression at the forefront. Delivering bespoke regimes suited to weight management, changing body composition, increasing strength or bettering general health. Not only will the client be instructed throughout but also educated on the process, as training the mind is a key factor in truly achieving change. I look forward to hearing from everybody ready to take the next step in their fitness journey & we can realise your true potential together. 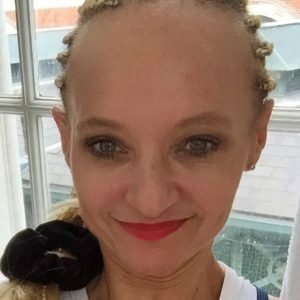 I am a highly motivated and knowledgeable personal trainer with over 35 years’ experience in the fitness industry, designing and conducting tailor made exercise programmes to meet the varied needs , abilities and goals of my clients. In addition I have over 35 years’ experience in Martial Arts including 2nd Dan Northern Dragon Kung Fu, Boxing, Kick Boxing, Thai Boxing, Ju-Jitsu, Grappling and have set up my own system – Combat Academy. I combine these methods of training for my clients to give them a fun, varied and intense workout. Being involved in sports and fitness his whole life, Paul has a background in elite competitive long-distance running, national university rowing and competition level rock climbing. This has led to a deeper understanding of health, fitness and sports conditioning at a base level. Paul’s main focus is to get his clients the results they require. Specialties ranging from building muscle to sports specific training, strength training and fat loss. He will tailor programmes, diet plans and give continued motivational support to reach your health and fitness goals.